While admitting an aging loved one into a nursing home is one of the least favorable of care options, life circumstances may warrant such a scenario. Every year, two million seniors undergo nursing home mistreatment, which results in injuries. When neglect and physical abuse in nursing homes occur, defenseless elders sustain injuries, which can sometimes lead to death. Seniors and family members have the legal right to bring charges against liable nursing home facilities in response to negligence or criminal intent. Overcrowded and understaffed facilities and overworked nursing home employees contribute to intentional or unintentional injuries to seniors. Due to mental incapacities or physical infirmities, many seniors fail to report nursing home abuse. Fear of retaliation also keeps many abused seniors silent. Families with loved ones in nursing homes should be observant of signs of abuse and consult an elder law attorney when mistreatment occurs. Here are 8 common nursing home injuries. Bed sores affect over 2.5 million seniors annually. When an elder remains immobile for prolonged periods of time, the skin along bony areas of the body becomes injured. Pressure points, such as those along the hips, ankles, tailbone and lower back, provoke an eruption of bed sores. Left untreated, bed sores can morph into gangrene, sepsis and joint infections, among a host of additional ailments. When a senior is involuntarily sedentary, bed sores are likely to emerge. Daily bed inspections and shifting the senior away from pressure points prevent bed sores. One third of nursing home occupants are unable to consume nutrient-rich foods or drink liquids on their own. Elderly individuals who have difficulty chewing food, swallowing or eating independently are at a high risk for malnutrition and dehydration. Understaffed nursing home facilities, high turnover in the field and improperly trained nursing assistants contribute to underweight residents and elder malnutrition. Nursing home staff should be properly trained to help seniors consume the recommended daily amount of liquids and balanced meals daily. Burns may result from numerous causes within a nursing home. Extremely hot coffees or teas, scalding food, hot showers, high-temperature physical therapy heating pads and sunburns can lead to second and third degree burns along the fragile skin of seniors. Preventing burns requires that hot foods be checked prior to serving, hot shower water be checked prior to baths, heating pad temperatures are monitored, the length of time seniors are in the sun should be supervised and residents’ whereabouts should be known in the event of a facility fire. Life-threatening emergencies can result in medication errors. Some facilities fail to have the right medicines in stock, leaving residents without medication. In some instances, nursing staff ignore or alter the administration instructions or even discontinue the medications. Seniors may be given expired medications, excessive, or inadequate medicines, improper technique in administering the medications or the wrong medications at the wrong time. Staff may crush pills not intended to be crushed or fail to deliver the necessary liquids—leading to dehydration. Each year, 100 to 200 nursing home resident falls are reported. Serious injuries, including disability, a decline in functional ability and even death may result. Seniors who experience falls tend to experience feelings of isolation and helplessness. Frequent falls may be a sign of an unaddressed health condition. Accidental head injuries may occur when nursing home residents slip and fall in the shower, transfer from a wheelchair to a bed, walk along facility sidewalks, or attempt to retrieve items from a high shelf. 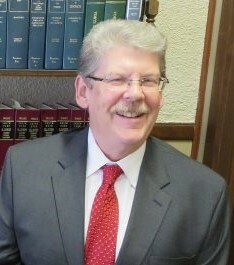 Intentional head injuries are a possibility in some cases. Adjusting the senior’s environment reduces a chance for injury. Simple alterations include removing tripping hazards (like rugs), properly utilizing patient lifts for transfer into or out of a wheelchair, dining chairs or shower and keeping commonly used items on low shelves. A full body infection in nursing home residents, sepsis is a consequence of infected, untreated bed sores. Given aging individuals’ weakened immune systems, severe complications from sepsis can threaten seniors’ lives. High fever, chills and a rapid heartbeat characterize the first stage of sepsis. Elder septic shock can result when the early stages of sepsis go untreated. The senior’s blood pressure drops severely enough that medical professionals are no longer able to restore it. Death can result from extremely low blood pressure. Nursing home negligence is often a cause of sepsis. Elderly individuals are susceptible to choking when they improperly ingest beverages, certain foods, or medications. Without constant monitoring during mealtimes and medication administration, choking is a stark possibility. Dehydrated individuals can also choke due to an increased difficulty in swallowing. Nursing home staff should be properly trained to provide appropriate foods and medicines. To prevent choking, employees should engage in regular monitoring of residents for medication side effects and ensure seniors are upright when they consume food and beverages. The crowded facilities, overworked staff, and lack of proper employee training lead to horrendous cases of nursing home resident injuries. The vulnerable state in which the majority of nursing home residents live requires extensive care on the part of the employees. As a concerned family member, you may suspect nursing home neglect. When doubts about care arise, turn to a reputable elder law and personal injury attorney, like Berry K. Tucker & Associates, Ltd. Our firm specializes in all issues surrounding elder care, from nursing home injuries to end-of-life issue planning. Discuss your concerns regarding the well-being of an aging loved one with a Berry K. Tucker & Associates, Ltd. lawyer. 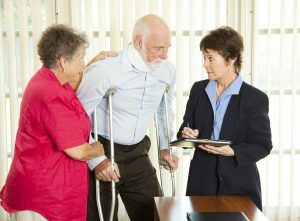 Each attorney is dedicated to protecting the interests of the senior in your life. We specialize in health care decision planning, assisted-living arrangements and guardianship, among other elder law niches. Experienced elder law attorneys from Berry K. Tucker & Associates, Ltd. provide invaluable legal expertise and legal advice to help you and your loved one make the most compassionate and appropriate decisions at this important stage of life. An initial consultation helps determine what type of elder law services your unique situation warrants. Berry K. Tucker & Associates, Ltd. serves individuals and families in the communities surrounding Oak Lawn, Illinois.